Amateur investors can match or even do better than the professionals at stock picking. Peter Lynch, one of the greatest investor of our times, highlighted this scintillating idea and thus echoed the beliefs of legends like Benjamin Graham, Phil Fisher and Warren Buffett. Peter says that even the professionals make money in stocks when they step out of the rat race and think amateurish. Therefore, if you are an amateur, you should capitalize on your advantage and stop listening to the professionals. 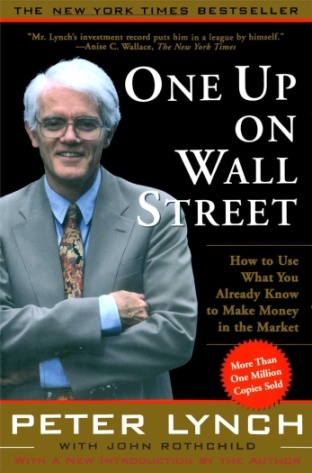 Peter Lynch, the writer of the book “One Up on the Wall Street”, is one of the most successful stock market investors of all times. His name is counted along with the legends like Benjamin Graham and Warren Buffett. Peter Lynch was the fund manager of Fidelity Magellan Fund from 1977 to 1990. During his tenure, the size of the Fidelity Magellan Fund increased from meager $ 20 million to whopping $ 14 billion, which was more than the combined GDP of many countries put together. Peter generated annual returns of 29% for his investors and beat the S&P 500 index in 11 out of 13 years. Peter has written about his investment philosophy and stock picking approach in his book “One Up on the Wall Street”. Peter Lynch popularized the term “Multi Baggers”. He inspired the amateur investors to learn to identify the stocks, which will end up earning in multiples of the original value and will thus generate wealth for the investors in the long term. Peter believes that an amateur investor needs to use only “3% of her brainpower” and “mathematics learned until 4th grade” to match the Wall Street experts at stock picking. Peter has divided the book into three distinctive sections, each section dealing with a separate aspect of investing: Preparing to Invest, Picking Winners and the Long-Term View. In this section, Peter has explained about the psychological aspects of investing in stock markets. Peter came from a modest family background and worked from a young age in a golf course as a caddy, carrying golf clubs for Wall Street players, where he learned stock investing from overhearing the stocks and investments talks. He started investing on his own, funded his own education from Wharton Business School and later on joined the mutual fund industry. 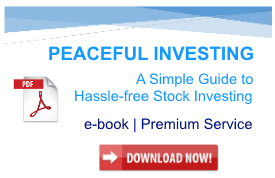 He demonstrates a very good understanding of the way a common investor thinks & acts and therefore, provides very helpful guidance for dealing with the emotional ups & downs of stock market investing. Peter highlights that the stock markets demand conviction on part of the investor as markets victimize the unconvinced. The lack of conviction forces amateur investors to shun stocks at precisely wrong times and think of them as prudent investment at the times when they are not. Peter advises the investors, that predicting stock market movements is futile. I agree with Peter when he says that investors should never try to time the markets. The best time to invest is whenever an investor finds a good opportunity to invest. Markets are overvalued when an investor cannot find even a single stock meeting her criteria. Therefore, Peter says, an investor should focus on picking good stocks, selling at cheap valuation and let the market go on managing itself. Peter explains his stock picking methods in second section of the book, “Picking Winners”. He advises each investor to do her own research before investing in any stock. Peter handholds the investor through his stock selection process starting from picking stocks closer to home in a shopping mall or at places of work. He has explained investing by giving very convincing examples of companies that he selected after taking cues from his neighborhood like L’eggs, Dunkin Donuts etc. Thus, an amateur investor can identify multibagger stocks months or years before the stock markets know about them if she keeps her eyes open to such opportunities. Peter helps the amateur investor to classify stocks in six categories; Slow Growers (2-4% p.a. ), Stalwarts (10-12% p.a. ), Fast Growers (20-25% p.a. ), Cyclical, Turnarounds and Asset Plays. Peter guides the investor to choose good stocks by clearly explaining the features of good companies in each of these categories. 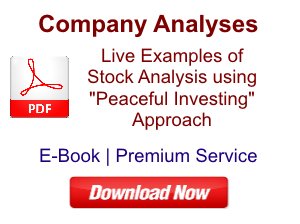 Reading this section also helps an investor to find out her favorite area of investment in stock markets. I myself learned that I like Fast Growers and therefore started focusing on them a lot in my investment journey. Peter has explained his own investment philosophy by explaining the features of the stocks he liked and those he avoided. Peter loved the stocks with dull or ridiculous names, those involved in a dull or disagreeable business, the ones out of radar of institutional investors & analysts. He liked the stocks, which were successful in a no-growth industry; were users of technology and where company & the insiders were buyers of their own shares. 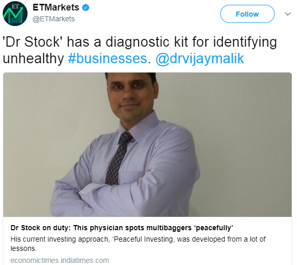 Peter avoided hottest stocks in hottest industries, stocks that are believed to be the next something (next Infosys, next Reliance) and the Whisper Stocks that are supposed to solve the latest national problem. Peter himself believed in and advises investors to do their own research before investing in any stock. The book contains Peter’s checklist of parameters for selecting stocks in each of the six categories of stocks (Fast Growers, Stalwarts, Cyclical etc.). This checklist can be a guide for the investor to prepare her own selection criteria or can be used as a ready-made checklist for stock selection. The third section of the book, “The Long Term View”, is focused on helping the investor in designing her portfolio. Peter advises small investors to keep three to ten stocks in their portfolio, however, ideally, she should buy as many exciting opportunities as she can find. Peter guides the investors to look for good opportunities during the year-end tax selling by institutional investors. I fully agree with Peter when he advises investors to become buyers during market collapses, corrections and free-falls. These are precisely the times when an investor can pick potential multi baggers. Peter has dedicated a separate section on “When to Sell” in the book. Peter believes that the selling decision should never be influenced by the stock price of a company; instead, it should be based on the changes in the fundamentals of the company. Therefore, in this section, Peter has explained selling signs for companies in each of the six categories of stocks (Fast Growers, Turnarounds etc.). Thus, as an example, Peter advises to sell a Slow Grower; if it has lost market share for two consecutive years, has not developed any new product, is increasing advertising spend or looking for acquisitions to gain market share. 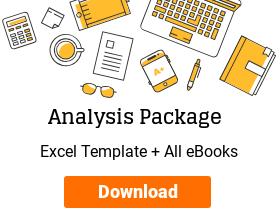 The book contains similar criteria for other categories of stocks to judge when the investment opportunity has run its course, and identifying that it is the right time to sell. Peter comes from a humble background and, therefore, shows a good understanding of the life conditions of a common investor. Peter advises the investor to put only that much money in stock markets, which she can afford to lose. He rightly stresses on the personal qualities of patience, self-reliance, tolerance for pain, humility and willingness to admit mistakes as some of the keenly required psychological behavioral aspects for an investor to make money in stock markets. I disagree with Peter when he advises an investor to buy a house before starting investments in stock markets. Housing prices in India as well as many other countries are currently prevailing at very high levels compared to their rentals and it makes more sense to rent rather than buy a house. However, it can be the topic of a separate discussion. Peter has made a strong case for fundamental stock investing in “One Up on the Wall Street”. Most of his arguments are in line with other great investors like Benjamin Graham & Warren Buffett, like advising an investor never to overpay for a stock, however exciting the opportunity may sound. If an investor overpays for a stock, then even if everything goes well with that stock as per her expectations, she may not make money in that stock. “One Up on the Wall Street” is a perfect guide for an aspiring investor who wishes to learn stock investing from a proven genius. It is a complete package that tells an investor about how she should approach the market, what to buy, when to buy, how much to buy and finally, when to sell. It is great that Peter Lynch decided to write his investing philosophy as a book and millions of investors around the world including me, could benefit from his experiences. “One Up on the Wall Street” is one of the best books that I have read about stock investing. The only other book, which I can compare it to, is “The Intelligent Investor by Benjamin Graham”. Both of these books are masterpieces in their own right. I believe that every person interested in stock market investing will benefit from reading this book. This book comes handy whenever an investor is confused about buying or selling a stock. She can always re-read the sections dedicated to buying or selling of stocks and Peter’s writing would help her see clearly through the situation and take a better investment decision. If you have already read this book, kindly share your own experience about reading this book. Happy Investing! 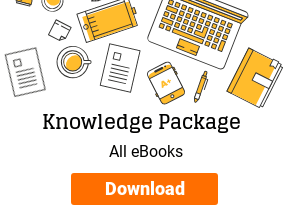 Disclosure: The article contains affiliate links of the book. “When Genius Failed”: 9 timeless lessons from LTCM, the biggest investing failure in history! 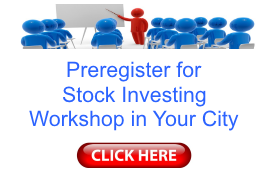 PrevPrevious ArticleDo you need to register with SEBI before giving opinion about stocks?